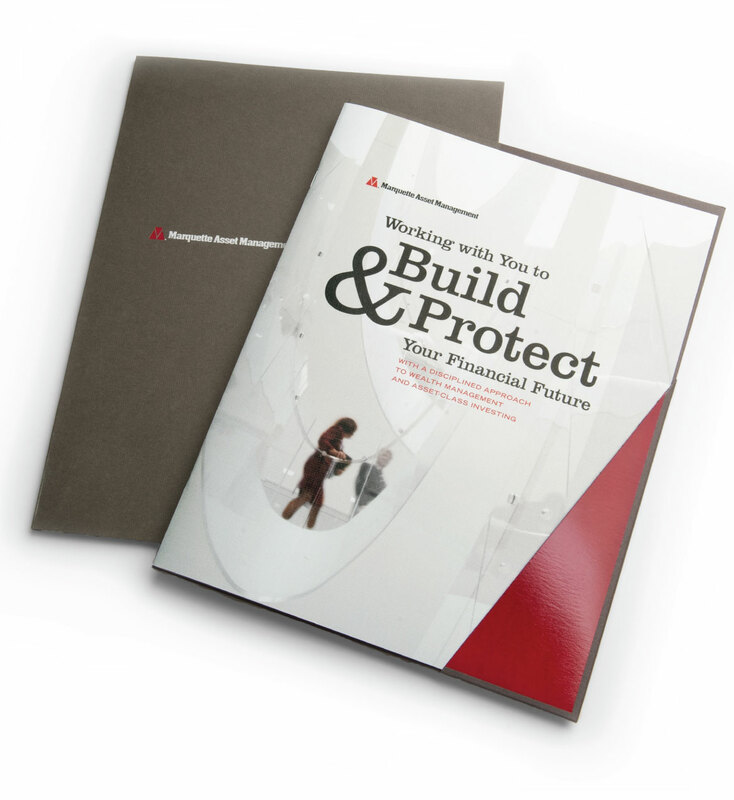 Marquette Asset Management provides integrated wealth management services for individuals, families, and institutions. 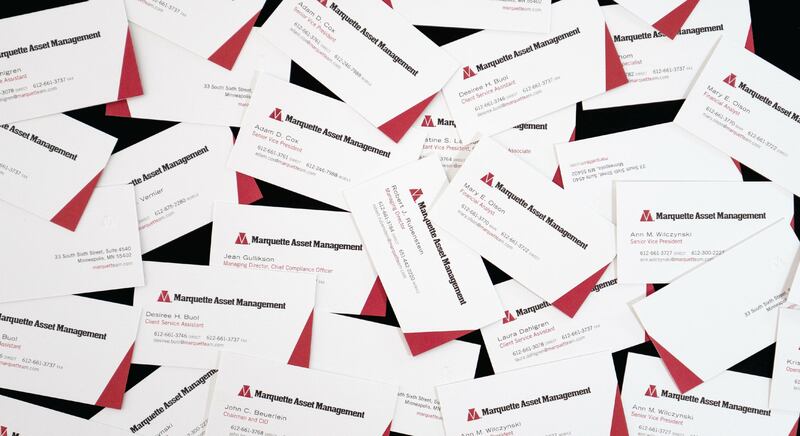 Founded by Minnesota’s Pohlad family and now a subsidiary of UMB Financial, Marquette Asset Management specializes in personalized investment management and fiduciary services. Part of a family of companies, Marquette had strong existing brand assets but wanted to refine both how it presented itself and the story it communicated. 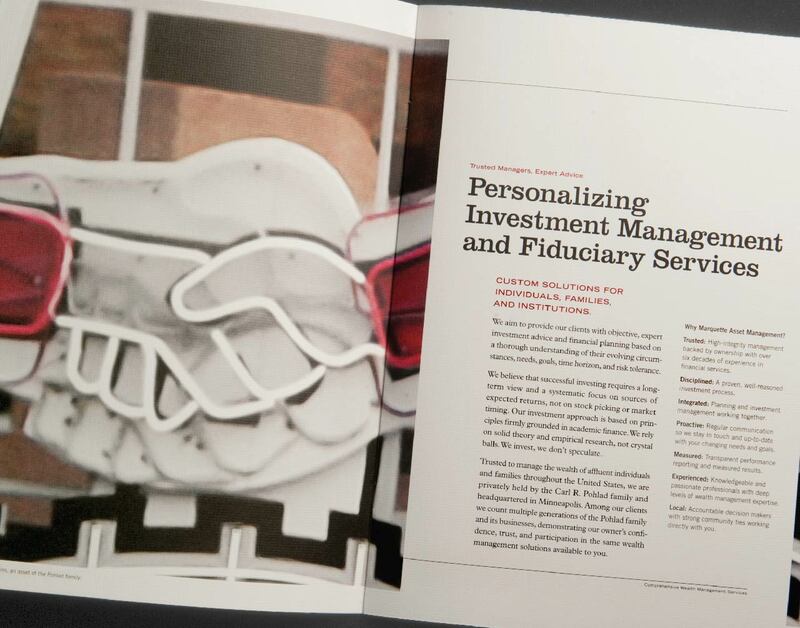 A services and capabilities brochure and document folio gave the firm a vehicle for making positive impressions on prospective clients and their advisors. 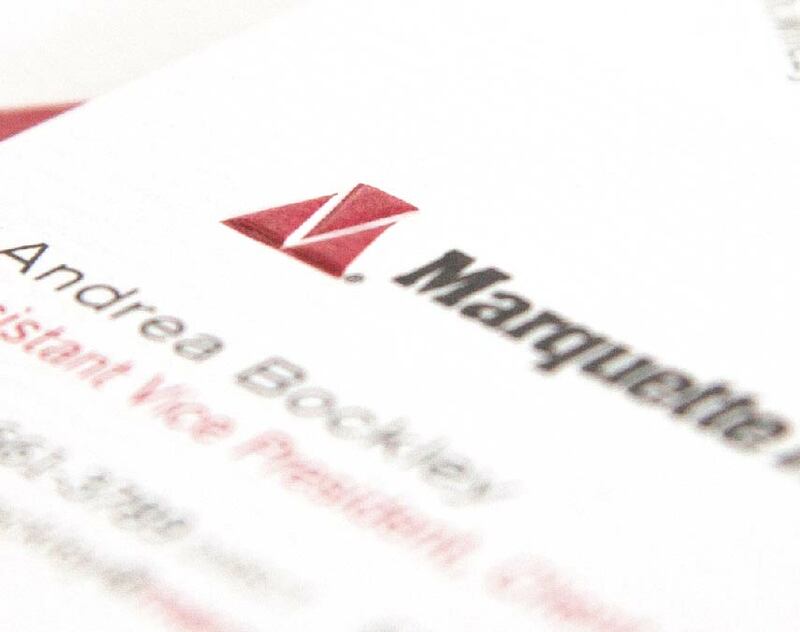 Working closely with leadership in discovery sessions, we developed content that explained Marquette’s strategy, approach, and high-touch service. 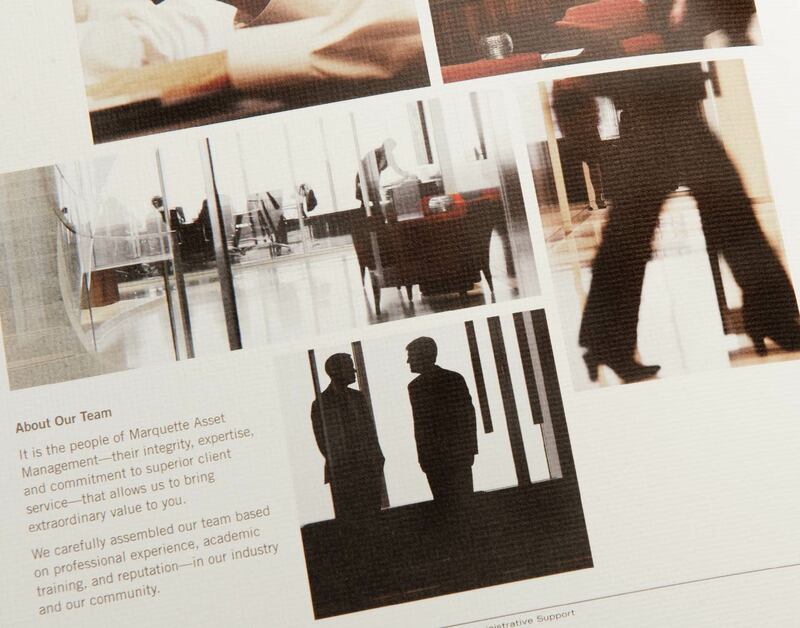 A photo shoot in the firm’s stunning Minneapolis offices established Marquette as modern and forward thinking, while our choices for paper and print techniques gave the brochure tactile impact. We determined that most of Marquette’s website visitors are looking to pre-qualify the firm ahead of an in-person meeting with an advisor. 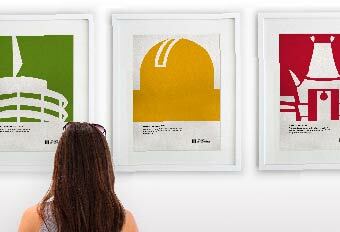 Clear navigation and straightforward, organized content lay out the firm’s services, strategy, and value proposition. 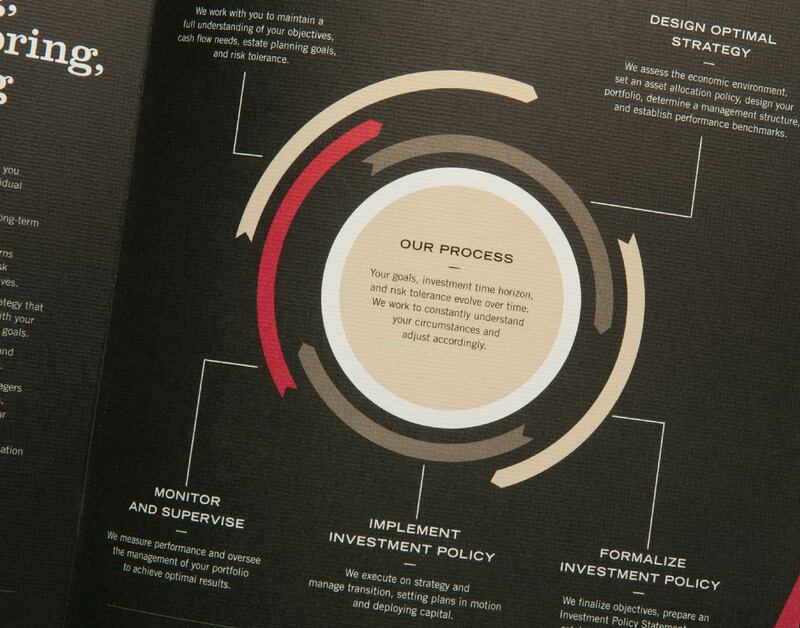 The site’s look-and-feel aligns with the firm’s printed brochure for a cohesive, considered presentation. 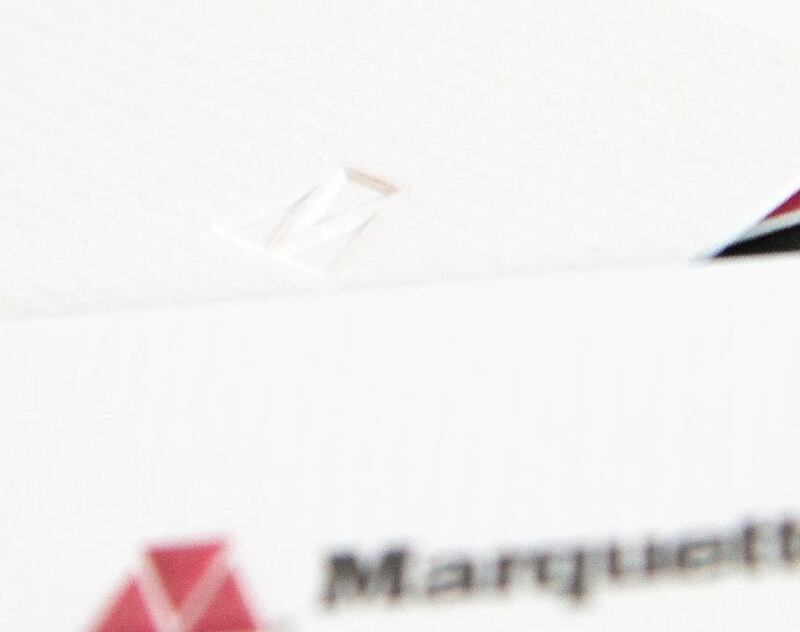 The firm’s business cards—double-thick Neenah Oxford paper, printed both sides, and with an embossed logo on the front that leaves a mirror-image, un-inked deboss of the logo on the card’s back—are a physical representation of Marquette’s high-touch client service. The firm’s brochures, website, document template system, and emails all use custom photography and clear, direct messaging, creating a brand that is at once sophisticated business and Midwest-approachable.